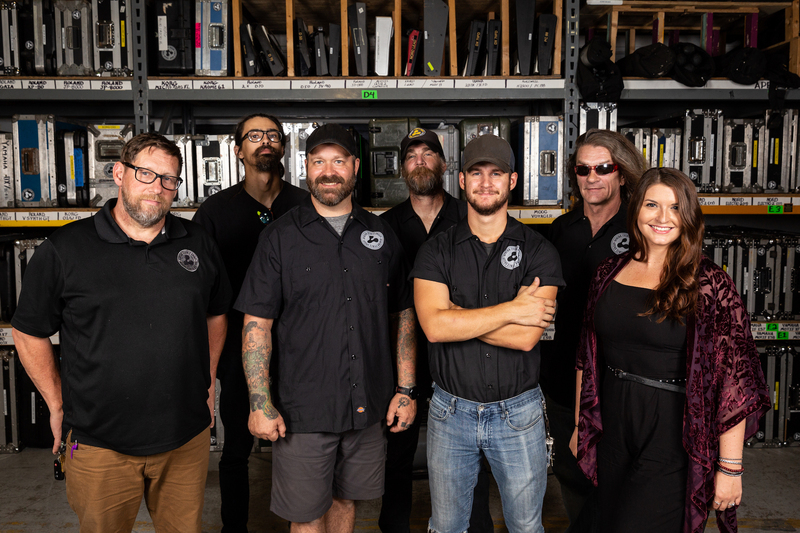 For over twenty years, Avatar Events Group has been the first name associated with the back line industry in the Southeast. Avatar Events Group was first established as Moonshine Backline in 1994 by the partnership of two longtime friends, both already well seasoned musicians. As times changed and the client roster grew, the name of the company was changed from Moonshine Backline to what everyone knows the company by today:Avatar Events Group. The same objective holds true today as when the company first started: Avatar Events Group is committed to providing each client with top quality backline gear at the best and most competitive pricing. Avatar Events Group has an ever expanding inventory of gear. In house, Avatar Events Group has hundreds of amps, drums and keyboards. 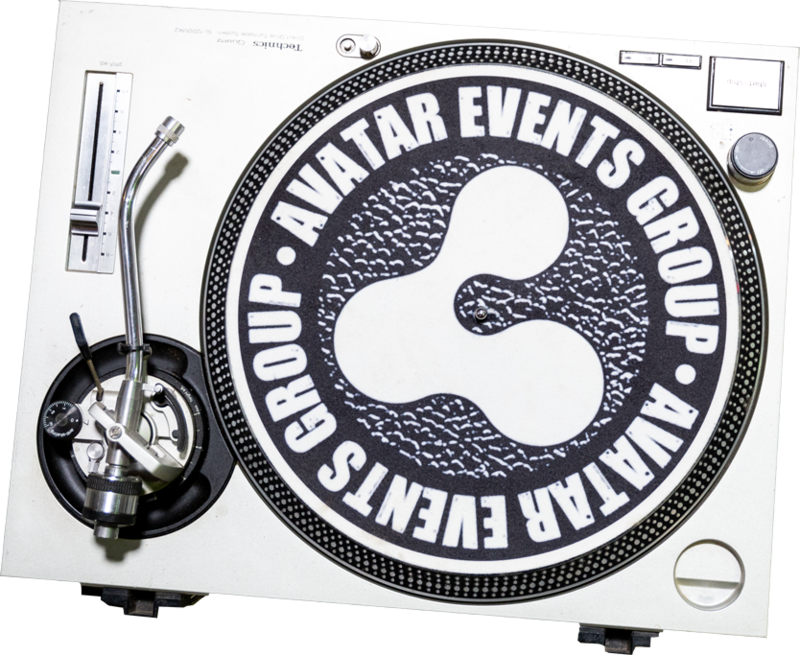 Avatar Events Group features both the latest equipment from top brand manufacturers along with the most requested pieces of gear in the industry. What could be better than Avatar? Backline is an umbrella term that covers all of the musical equipment used by a band. 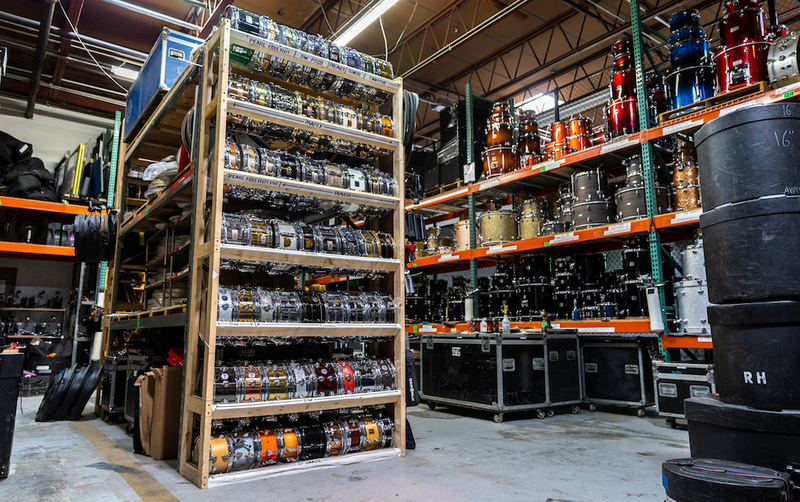 This includes amplifiers and speaker cabinets (for bass, guitar, and keyboard), dj turntables and mixers, keyboards, drum kits, percussion pieces, guitars, and bass guitars. It also includes all cabling and accessories for the listed pieces, including keyboard stands, guitar stands, music stands, pedals, benches, etc. Feel free to contact a sales representative to inquire about any specific gear that you need! Backline does NOT include sound equipment, such as speakers, PA systems, monitor boards, microphones, etc. We have a large inventory that includes all of the industry’s top brands. Pioneer, Rane, Yamaha, Fender, Hammond, Korg, Roland, Ampeg, Marshall, Mesa, SWR, Orange, Aguilar, GK, DW, Gretsch, Ludwig, Mapex, Pearl, Tama, Taylor, Godin, Supro, 3 Monkeys and more! If there is a specific piece that you’re looking for, feel free to call or email one of our sales representatives. In-town deliveries are considered to be inside the I-285 Perimeter. These deliveries are charged as a flat rate. Deliveries out side that specified area are charged according to mileage. Give us a call at (404)589-9450 to discuss how Avatar can get your rental to you! 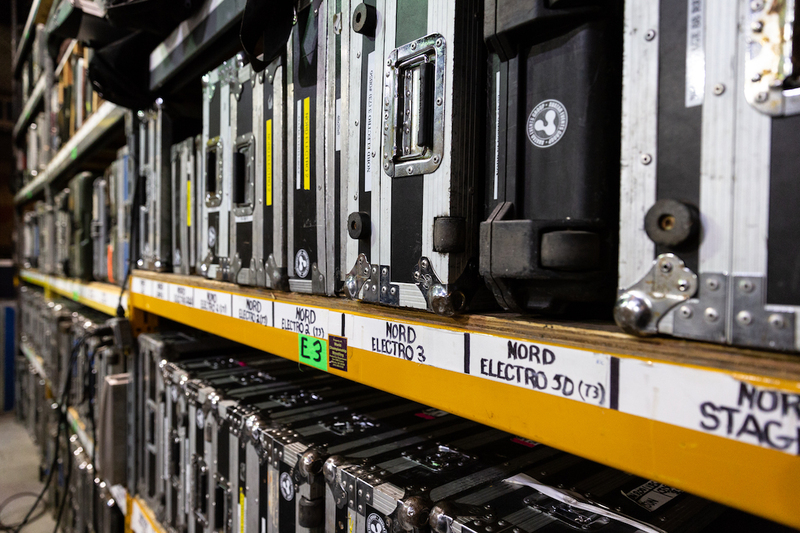 If you need backline equipment for your show or event, renting from Avatar is quick and easy! 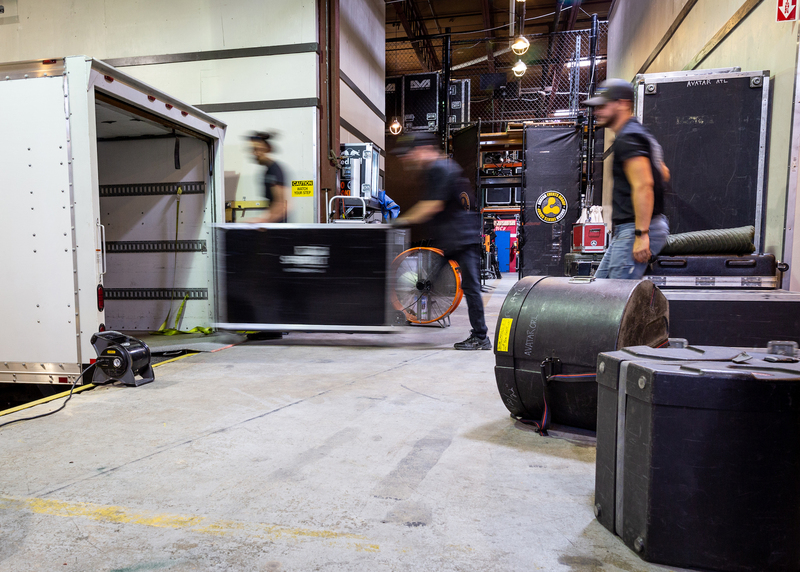 You can simply send an email with the artist’s rider or gear list, rental dates, and any important show information over to any of our sales associates. We accept personal/company checks and all major credit cards at Avatar Events Group. Wire transfers can be arranged if necessary. Unfortunately, we do not accept debit cards or cash for payment. If you want to pay for your order in advance with a credit card, you can download a copy of our Credit Card Authorization Form here. WHO SHOULD I SPEAK TO IF I NEED TO BOOK A REHEARSAL SPACE? For hourly and daily rates please contact us at 404-589-9450. The A-Room rates include an audio package, if you need any backline equipment, that can be included. We are located at: 1356 ENGLISH STREET, ATLANTA, GEORGIA 30318 Hours of operation The office and shop are open Monday-Friday from 10am until 6pm. Please contact a sales associate if you need to schedule a pickup or drop off during the weekend or after hours. We are always on the lookout for experienced techs who want to join the Avatar family. If you’re interested in joining our team, please email a copy of your resume to brittany@avatareventsgroup.com. Shoot us an email or call! Give us time to get back to you! We will do our best to get back to you as soon as possible about your order. Fill out our credit authorization form to take care of the payment. Follow us on social media to stay up to date with the latest news and exciting updates on what we are doing! Some of the folks that make it all happen (L-R), Owner Kenny Cresswell, Rob, Joe, Sarge, Michael, Mike and Brittany.